Sometimes I need to access an Airport Extreme router (Apple's own wi-fi router) that's hidden behind a NAT. There is a way to do that with Bonjour, but I haven't made it work. 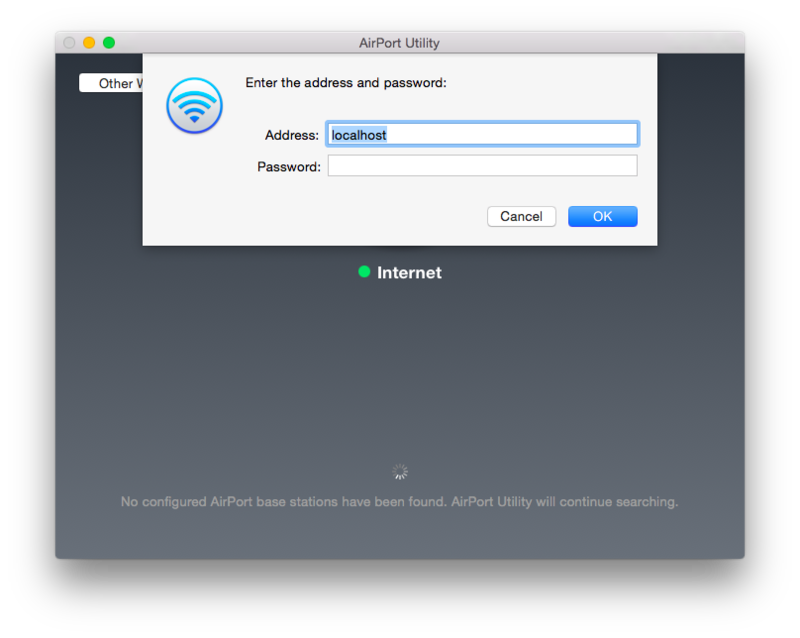 I do that with local port forwarding via ssh, and the port is 5009 (add -L5009:192.168.1.1.:5009), and then open The airport utility and click File->Configure Other... and then enter localhost as the address, and type your password. Previous Previous post: Finder: new text file?